Please note, I am not a veterinarian. Please speak in detail with your holistic veterinarian about your dog’s care and support. They will always be your best resource. 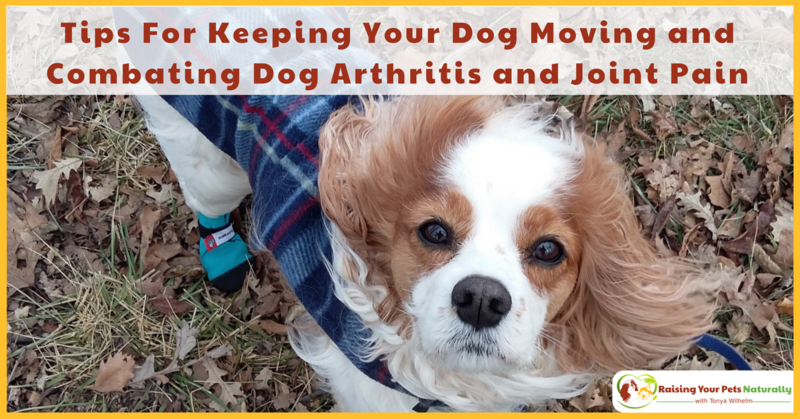 If you have old dogs, dogs with arthritis, dogs with mobility issues, or even young healthy dogs, you should be proactive in their joint and mobility care. Often people wait until their dog is in pain, has arthritis, or even has trouble getting up from the ground before they take action. We all do it—I even fell in this category myself with Dexter. 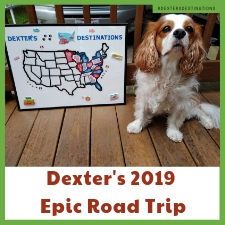 If you’ve been following Dexter’s story, you may recall that he was diagnosed with Chiari-like Malformation (CM) and syringomyelia in 2012. CM is basically when the skull is too small to hold the brain, causing pressure on the cerebellum and medulla, and obstructing normal flow of cerebrospinal fluid. You can compare this to holding your finger over half of the opening of a hose; that pressure then causes fluid-filled cavities within the spinal cord, SM. We’ve had our ups and downs with his disease. I’m happy to report he’s been doing well and he’s just as spunky and fun-loving as a young pup. However, just over a year ago, Dexter was getting a bit more “wobbly and bobbly” and losing his balance. 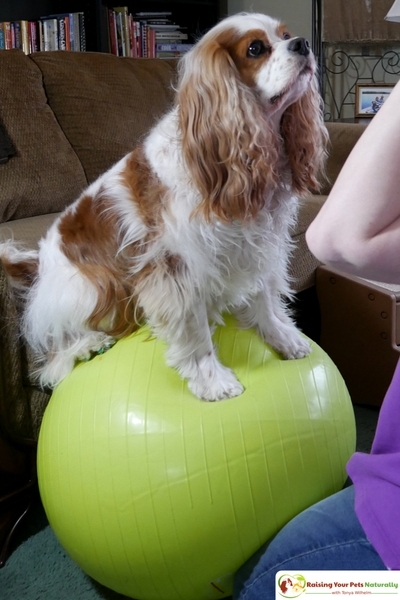 It’s then that he started seeing his rehab vet, Dr. Mary L. Cardeccia, for regular physical rehabilitation to work on building his core strength and proprioception. You can read about our canine rehab in this article. I regret that I was not more proactive in keeping Dexter strong and mobile, prior to his wobbles and weakness. Dexter and I always had regular daily exercise through walks and play, but I never actively focused on his strength and core. Strong core muscles help dogs with their movement, keep their balance, and help them get up and down. For Dexter, it’s also very important in strengthening his spine and allowing him the strength to “catch” himself and recover from a wobble. Have you ever heard the phrase, “use it or lose it”? This is so true when it comes to exercising with our dogs and keeping them moving. According to an article published on the John Hopkins website, “While rest is important, especially during flare-ups, lack of physical activity is associated with increased muscle weakness, joint stiffness, reduced range of motion, fatigue and general deconditioning.” As with every exercise program, it is important to know your dog’s limits and yours, start slowly, and build over time. There are two traditional forms of dog water therapy: pool therapy and water treadmill therapy. Water therapy has a low impact on a dog’s joints. 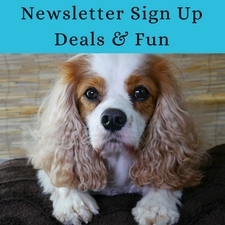 This is a great solution for dogs with a variety of joint problems and mobility issues. Water therapy also provides resistance, making this a great workout for your dog. 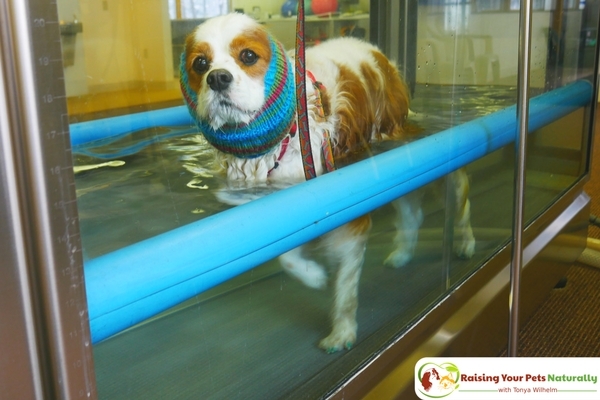 Dexter goes to monthly underwater treadmill therapy not only to build his strength, but also to help with his proprioception. During the summer months, I also walk Dexter in shallow streams and ponds between our sessions. Cold laser therapy uses light beams that stimulate the cells in the body and can reduce inflammation, increase blood circulation, relieve pain, and repair tissue damage. Cold laser therapy uses a laser that does not produce heat. 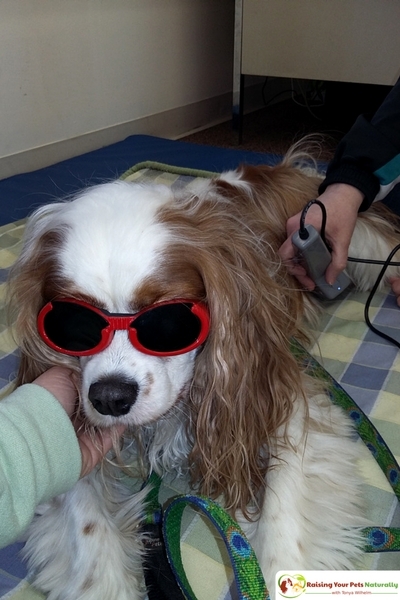 Depending on your dog’s condition, your holistic veterinarian may recommend cold laser therapy. Dexter’s neurological condition relates to inflammation along his spine, so Dexter receives treatment on his spine about once a month. If he’s having a rough day with pain, we schedule an impromptu laser treatment, which usually gets him back on track and feeling better. 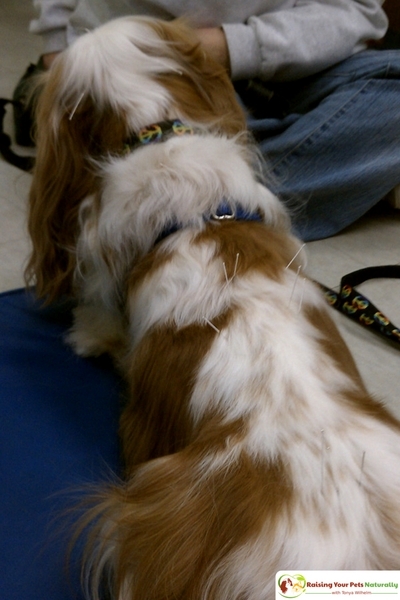 Acupuncture is another natural option for assisting with a dog’s mobility and a lot of other canine ailments, even behavioral issues. In traditional Chinese medicine, it is believed that disease is caused by a disruption of the flow of QI, or energy. Acupuncture is applied in target points to stimulate the flow of QI, allowing the body to become balanced. 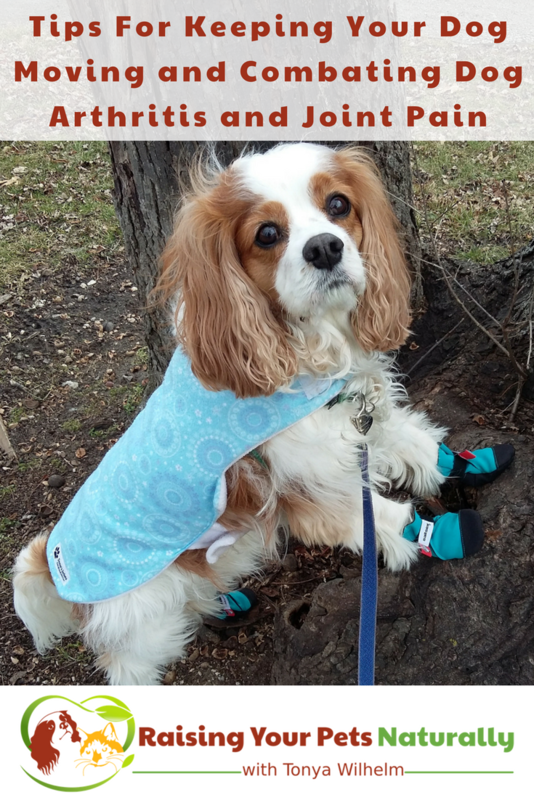 For dogs with mobility concerns, the practitioner is generally focused on stimulating circulation and reducing inflammation. First, I want to stress that if you are thinking of taking your dog in for chiropractic care, you see a veterinarian, not a human chiropractor—they are NOT the same. Canine chiropractic care helps realign your dog’s joints and spine, helps with range of motion and flexibility, and can relieve pain. Veterinarian chiropractors may solely use their hands during a dog’s adjustment, a chiropractic adjustment tool, called the Activator®, or a combination of both. Dexter has had both procedures, and responds better during and after with a hands-on approach instead of the tool. Some veterinarians will actually provide adjustment in the pool, for even a gentler approach. I’m sure I don’t have to tell you that excess weight on your dog’s joints and spine will increase pain and inflammation, and decrease mobility. It also leads to strain on your dog’s heart muscles and other vital organs. If there was ever a time to feel your dog’s waistline, it’s now. All dogs should have a slight tuck at the waist. Feeding your dog a species-appropriate diet is incredibly beneficial in reducing inflammation. Dogs are carnivores, not carbidores. A processed dry dog food is extremely heavy in carbohydrates and has almost no moisture. This combination leads to inflammation, not to mention a lack of fresh vitamins, minerals and enzymes. To help reduce inflammation avoid refined carbohydrates such as sugar, sorghum, flour (wheat, oat, pea, bean, rice, corn), white rice, and potato starch to name a few. Some other foods that increase inflammation include sugar, too many omega-6 fatty acids, and corn. On the other side, there are foods and supplements that help reduce inflammation such as leafy greens, blueberries, cruciferous vegetables (broccoli, cabbage), bone broth, omega-3 fatty acids, probiotics, beets, pineapple, glucosamine chondroitin, green-lipped mussels, and CoQ10. If your dog struggles getting up, using stairs, or walking, I would suggest looking at the GingerLead. The GingerLead works by gently lifting a dog’s back legs, enabling him to be in an ideal position. 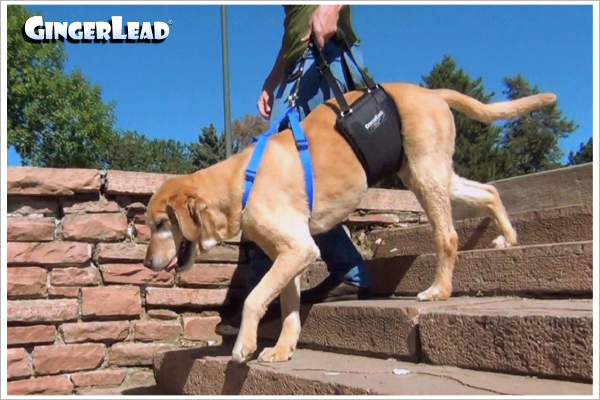 The GingerLead offers a very safe and secure way to help a dog get up, navigate stairs, or go for a walk. You can read my full review in this article. Don’t wait for your dog’s mobility to decrease. Take action today to improve his movement and longevity. Dexter goes to Animal Rehabilitation Facility in Dexter, Michigan for his canine rehab. How are you helping your dog’s mobility? Tell me in the comments. Great advice, My dog is 7 in may and coming up to his senior years and I do worry about things like arthritis. Thanks for the tips! You bet. Now is the time to start being proactive. I’ve seen people use water therapy for their pets and I’m amazed by how it works. It truly is amazing! 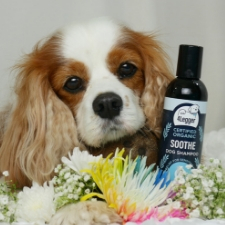 I think your other suggestions are great for taking care of your dog’s athritis as well. Thanks, Alison. Mobility is so important. That’s way more options than I’d thought possible for what could be a fairly simple problem. 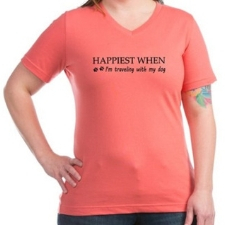 Not something that I need yet but bookmarked for when we do! We love dogs, me and my mom. We had 5 before but just lost 1 due to her old age. Thanks for sharing these tips. I’m sorry for your loss. <3 Glad to share. Awwwww. My puppy passed away last summer but I’ll be looking for a new one this year and want to make sure she’s properly taken care of from an early age. I need to stay proactive. Thanks for the great advice. <3 I'm sorry for your loss. Yes, lots of things here to be proactive. Oh, no. Please take her to her vet for a physical and bloodwork. Second opinion if no answers. O my wolrd. Will not have known dogs go through this aswell to have something treated. All tips here are amazing. Will look it up more as i get to have mine soon. Thanks, Lex. Good luck on the new dog. I know that dogs should not be given sugar and flour. But I have seen many people doing that. 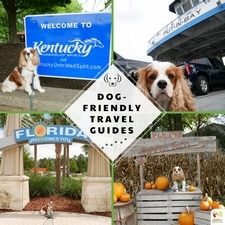 I will share this article with them, so that they can follow these steps and make their dogs’ lives healthier. Thanks for sharing ! Thanks for sharing. Yes, sugar and flour are pro-inflammatory foods for pets and us. I am not a pet owner but it must be so had to see your pet suffer! These sound like helpful remedies. This was very informative. My yorkie is still young but yorkies are prone to arthritis so I will definitely be taking your suggestions to heart! Thanks, Chi. Yorkies are adorable! Such an insightful post. Gave me loads to think about. Thanks for sharing!